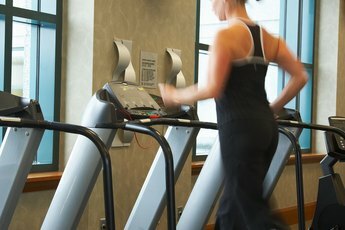 Treadmills and stair steppers are both good for burning calories. You know you should be exercising for good health and weight control, but with your busy schedule, it's hard to find time to fit it in. If you're like many busy women, juggling kids, work and home responsibilities, a workout often takes a back burner. Setting up a treadmill or stair stepper in your home might just be the answer you're looking for. Both are good choices and allow you to exercise while dinner cooks or when your favorite television show is on. 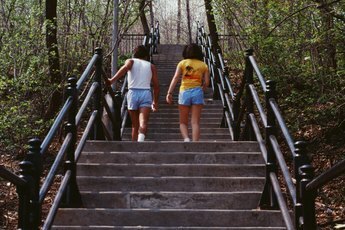 A stair stepper and a treadmill primarily work your lower body, including your legs, hips and buttocks. Specifically, you'll activate your hip flexors, glutes, quads and calves. This is great for creating a toned and slender bottom half. While you work the same sets of muscles on both a treadmill and a stair stepper, you may find that the motions challenge your muscles in different ways, which will help you choose which one works best for your goals. 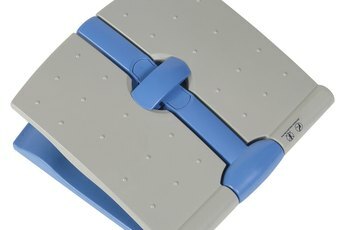 In addition, some stair steppers have resistance cables or handles that you pull back and forth, which adds the extra bonus of also working your arms, shoulders and back. If you're exercising primarily to lose weight, understanding the difference in calorie burn between stepping and running on the treadmill is important for making sure you're creating a calorie deficit through exercise. If you're overestimating how many calories you burn during a workout, the pounds probably won't come off as quickly as you'd like. In general, a 160-pound woman burns about 600 calories per hour at a 5-mile-per-hour pace, and the same size woman burns about 650 calories after one hour on the stepping machine. In addition to the weight-loss potential that both a treadmill and a stair stepper offer, they also have other perks. Regular aerobic exercise increases your stamina, making your workouts easier and keeping your body healthy and strong. Exercise also helps prevent a variety of health problems, including heart disease, diabetes and some types of cancer. 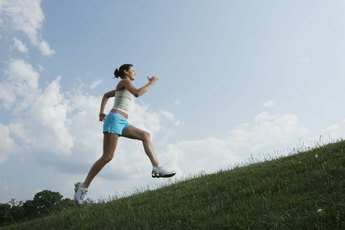 Stepping and running also help tone and define your muscles, giving you a physique you'll be proud to show off. You might notice the most results in your quads with a stair stepper and you'll probably see positive results in your calves and quads with the treadmill. Choosing between a stair stepper and treadmill can be overwhelming, especially if you're new to exercise. If you have the space and money, add both to your home gym. If not, use both at the gym. Varying your exercise routine helps create a well-rounded program that works your whole body evenly. Since treadmills and stair steppers are mostly beneficial for your lower body, add strength training that targets your arms, shoulders, back and core to prevent muscle imbalances that could cause you to get hurt and might make you look disproportionate. 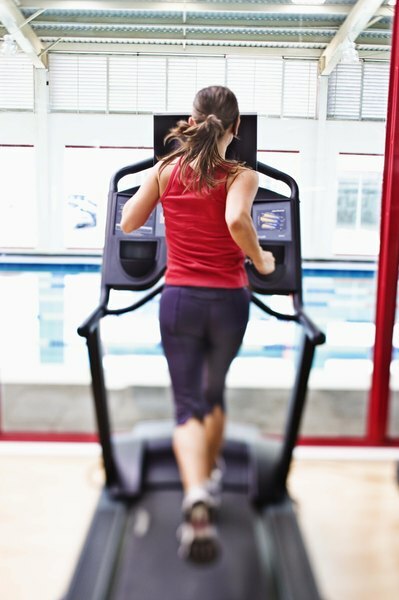 Shape: Ask the Celebrity Trainer: Treadmill, Elliptical, or StairMaster?